The NBA announced on Monday that Denver Nuggets big man Nikola Jokic was named Western Conference Player of the Week. This is the third time Jokic has been named player of the week this season and is the fifth time he was won the award in his career. Only Giannis Antetokounmpo (6) has more player of the week honors this season as Jokic is now tied with James Harden (3) for the second most of any player the NBA this year. This was also the fourth time a Nuggets player has won the honor this year as Paul Millsap took home player of the week earlier this season. After Denver captured four huge victories over the Memphis Grizzlies, New Orleans Pelicans, Houston Rockets, and Minnesota Timberwolves, this award is just icing on the cake for what was a great week for the Nuggets. 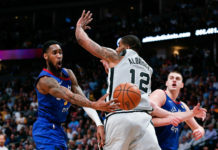 During the Nuggets four-game winning streak, Jokic averaged 22 points, 11.8 rebounds, and eight assists per game. Jokic’s big week consisted of two triple-doubles against the Pelicans and Timberwolves and a double-double against Houston, which helped snap a nine-game losing streak against the Rockets. On the season, Jokic is now averaging team highs in points (20.2) rebounds (10.5), and assists (7.7), while also leading the team in steals at 1.4 per game. 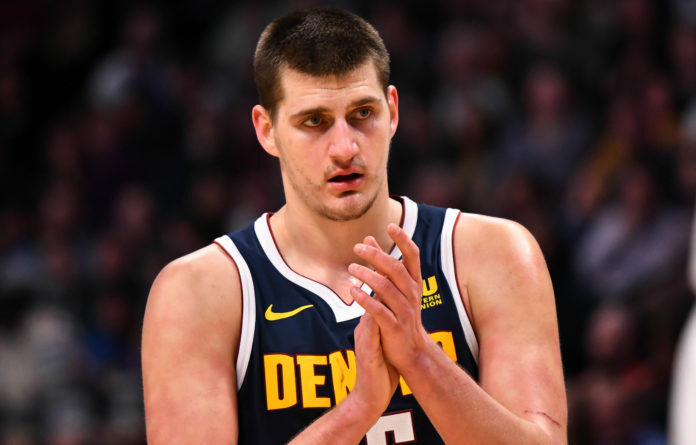 After being named to his first All-Star game last Thursday, Jokic certainly followed it up with a stellar week that led to four victories for Denver. 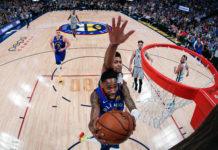 The Nuggets have now won six-straight game overall as they will look to make it seven tonight when Jokic and Denver head into Detroit to face the Pistons.